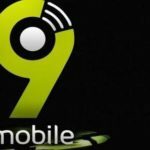 9mobile Fresh Job Recruitment – careers.9mobile.com.ng, The Vacancy is for Manager, Access & Control. The Job is Located in Lagos State. Only Applicants that Have Bachelor’s degree and In depth knowledge of Core Business Model processes can apply. 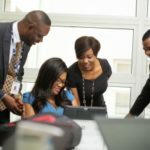 How to Apply for a Job at 9mobile, Interested and Qualified Candidates Should: Click here: careers.9mobile.com.ng to apply. Drive compliance with segregation of duty requirementsto prevent, reduce or eliminate fraud and loss using best in class frameworksand tools for risk assessment, governance standards and access controlpolicies. Define the Segregation of duties Business Risks(Segregation of duties rule set) and related mitigating controls and ensurecompliance with both. Ensure that System GRC is set up in line with theSegregation of duties rule-set in line with 9Mobile policy and NCC regulations. Build strong relations with the Financial Controlsteam and Internal Audit to ensure compliance requirements for Segregation ofduties and system access are properly translated and implemented. Work in close cooperation with the business area to define the best possible access for the people operating the process and eliminate or mitigate the identified risk for the system processes. Create formalprocesses for Segregation of duties Monitoring, Segregation of dutiesRemediation and SYSTEM Ruleset Maintenance. Assist IT withthe Identity Management/GRC Integration and SYSTEM Controls Optimizationprojects. Perform any other activity assigned by the Manager,Revenue Assurance. In depth knowledge of Core Business Model processes. Click here: careers.9mobile.com.ng to apply.